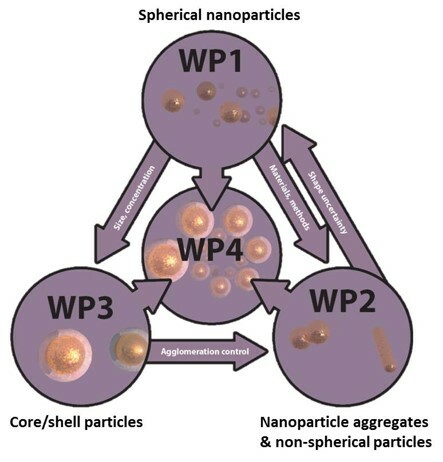 Caterina Minelli of NPL’s Surface Technology group is leading the Versailles Project on Advanced Materials and Standards (VAMAS) TWA34 (Nanoparticle populations) Project 10 interlaboratory comparison on the measurement of number concentration of nanoparticles. 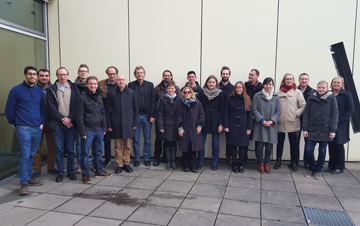 The study will run in parallel with the BIPM CCQM-P194 pilot study (led by LGC) on the same materials. The materials chosen for the study are 30 nm gold nanoparticles and could become the first reference material with information on the nanoparticle number concentration available to stakeholders. This will enable the calibration of instruments and validation of methods with impact on a wide range of industrial sectors making use of nanoparticles, from medical and pharmaceutical, to advance manufacturing, to catalysis. The launch of this study had an overwhelming response, with 48 enrolled laboratory, for a total of 87 instruments across the globe over five measurement techniques: UV-Visible spectroscopy, particle tracking analysis (PTA), differential centrifugal sedimentation (DCS), single-particle inductively coupled mass spectrometry (sp-ICP-MS) and small angle X-ray scattering (SAXS). The samples (a photo of the package is shown) were shipped to the participants in April and measurements will be performed within the next three months. The package also included the NPL Report AS 98, which describes the sample preparation and measurement protocol and has been realised in collaboration with LGC. This document is an important pre-normative step towards the standardisation of the measurement of number concentration of colloidal nanoparticles. A special thanks to Magdalena Wywijas for the support to the study and Henry Crawford and the post office for helping with shipping the VAMAS packages to all the partners.